The Dunedin Convention Bureau has joined forces with Waikato Business Events to launch Meet North South, a new initiative to generate business events which will benefit both regions over consecutive years. Dunedin and the University of Otago have successfully bid for the 2022 World Leisure Congress, which will bring between 500 and 1000 international delegates to the city and an estimated $1.7 million contribution to the local economy. The Dunedin Convention Bureau will collaborate with Hamilton and Waikato Business Events to attract association conferences to the city.In a bid to pool resources and capture leads collectively, the partnership will offer a dual destination solution for New Zealand Associations looking to hold business events on annual rotation. This is the first such initiative in New Zealand and a bespoke solution for buyers in an increasingly competitive market. Dunedin City Council business and events tourism adviser Bree Jones has been appointed to the board of Conference and Incentives New Zealand, and elected chairwoman of the New Zealand Convention Bureau (NZCB). The Conventions and Incentives New Zealand (CINZ) Conference, held in Dunedin this week, has introduced a number of eco-friendly initiatives to reduce its environmental impact. Otago Polytechnic tourism students will benefit from the latest conference in Dunedin, getting a first-hand insight into the business events sector. Dunedin has captured the heart of a Danish academic who heads an international organisation studying religion. Dunedin is expected to add as many as six large conferences to its business tourism calendar after its team of representatives nailed bookings that could mean millions of dollars are added to the city’s economy. The conference and business events market is continuing to provide a strong tourism presence in Dunedin, even as the traditionally quiet winter period hits. The city learned last week it would host the tourism industry event next year, bringing up to 1200 international travel and tourism buyers, media and New Zealand tourism operators to Dunedin. It will be the first time the event, run by Tourism Industry Aotearoa (TIA), has come to Dunedin and the first time it has been hosted outside Auckland, Rotorua, Christchurch or Queenstown since it began in the 1960s. Dunedin's tourism industry has received a massive boost, and the city is set to rake in millions of dollars after it was announced yesterday as the host of next year’s Trenz conference. The tourism industry event will bring up to 1200 international travel and tourism buyers, media and New Zealand tourism operators to Dunedin, something Mayor Dave Cull described yesterday as "a huge coup". It’s been a hot few months at Otago Museum! 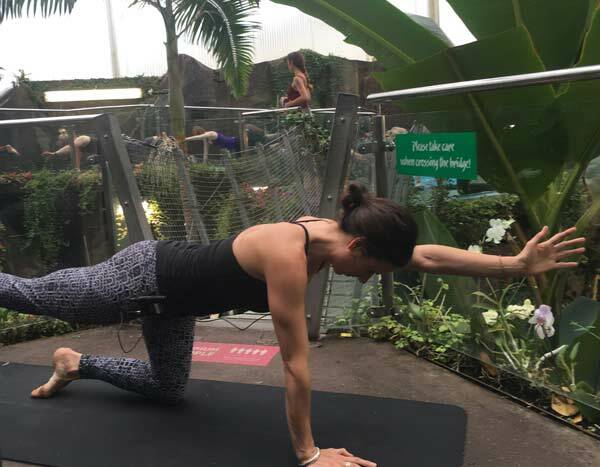 The Otago Museum hosted its first Hot Yoga class in the Tropical Forest this month, with participants surrounded by lush flora and hundreds of beautiful exotic butterflies as they gently worked their way through a hatha yoga class in the sublime 28°C temperatures. The yoga class was held to support an interactive display at the Museum – Well balanced: Improving strength and balance at any age, but proved so popular that it is likely more will be offered in the near future. Dunedin is cementing a reputation as the wildlife and scientific capital of New Zealand, with the 9th World Congress of Herpetology (the study of reptiles and amphibians) in 2020 the city’s latest successful conference win. This follows Dunedin’s successful bid for the Society for the Preservation of Natural History Collections (SPNHC) & Taxonomic Databases Working Group (TDWG) Joint Conference in 2018 – the first-ever meeting of the world’s leading researchers responsible for the care of natural history collections in the Southern Hemisphere.